Thirteen years ago today my Mom passed away peacefully at our home. Thirteen years without my Mom and missing her everyday since. It's hard to believe it's been that long, or has it been longer? 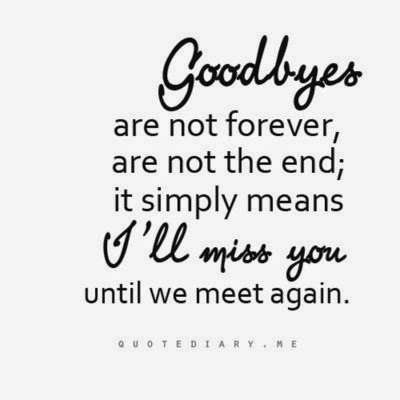 That's what it's like losing a loved one..some days it feels like yesterday and other days it feels much, much longer than that. My Mom IS someone that you'd miss everyday and I'd be lying if I said I didn't miss her every single day (heck, she was the inspiration for me starting this blog in the first place)...her personality was contagious. Always positive. Always smiling. In a world full of inconstant, the one constant that always stay true for me is that she doesn't have to physically be here to make an impact on my life and for me to feel her presence. The truth is, I feel her around me all the time and I make decisions daily with her in mind. If you would've asked me that ten years ago if I thought that was possible I would've looked at you like you had four heads and you were just saying that to make me feel better, but now I know it's true. This weekend I was gifted more amazing letters (over 10 pages!) that my Mom wrote for me that my Dad had found, and it was just what I needed to comfort me during this time. Me and Billy spent Friday night after we left my parents house going through them and reading them all. She actually wrote these ones before she got diagnosed with cancer, so the fact that she did write them (and in so much detail) is truly something that I view as a miracle. They are priceless and I love seeing her personality shine through in them! I remember writing this post in September, and I stand by it still today. If you've lost a loved one, maybe it will provide you with some comfort. Katie, I'm sure your mom is so proud of the amazing, kind, beautiful woman you've become! Sending lots of love and a big fat hug your way today. Thinking of you today and sending lots of love. I can't imagine that it ever gets easier. I am so so sorry. I am sending you lots of love. I absolutely know how you feel, I feel my mom's presence all the time. She passed away 12 years ago. I am sure our moms are watching over us all the time. Oh sweet friend, that is so special that your dad gave you those letters! I know she is looking down on you and is so proud of the beautiful lady you've become. I know what it's like to lose a mom to cancer and you're right, it doesn't get easier and we miss them every day. Hold tight to those memories. Hugs to you and your dad! I'm so sorry for you loss. Even though it was a while ago, the pain never really goes away. 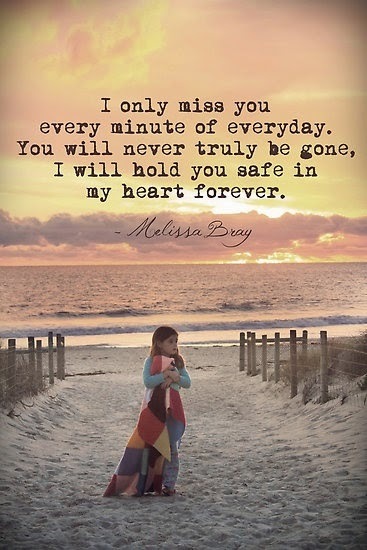 I hope you find comfort, in this day and every day, that she is watching over you. You are so loved! Big hugs to you sweet Katie!! You are such an amazing lady and even though I didn't know her, I know your mama would be incredibly proud of you! OMG! HOW AWESOME!!!! I would love finding letters from my mom - so sweet! Treasure those girl. I'm sending you hugs through the interwebs today. Losing moms is not fun! That is so awesome that you have gotten more letters from your mom! That has to be the absolute sweetest thing! Tomorrow will be 8 years that my mom has been gone & I can agree that at times it feels like it was yesterday & other times it feels like forever ago. I don't like either of the feelings but, you're right... you're mom is there every step of the way with you!! Sending big hugs your way today!! Your mother & I share a birthday! I am glad you were able to read those letters so many years after her passing.. I wish I could just reach out and hug you! You're such an amazing person and friend. I know your mom is SOOOO proud of the woman you've become. What a blessing her letters are!